Eskimo is a term generally referring to native people from the northern polar regions of the globe, including Russia, Alaska, Canada and Greenland. Inuit and Yupik are the two most-recognizable names of Eskimo cultures. Like any culture, the Eskimos have their own traditions and ways of life. Teaching children about Eskimos is fun, as there are many crafts to help explain the rich culture and history. Many Inuit artists, such as George Arluk, Elijah Kuppaq and Josie Papialook, carve sculptures of animals and nature with natural clay. The Inuit use nature as inspiration and as tools for art. Elementary- and junior high-aged children can create their own Inuit-like sculptures using modeling clay. By molding the clay with their hands and using toothpicks and wooden craft sticks as shaping tools, children can create sculptures of animals. Have books with photos of real Inuit sculptures available as references, as well. An Inuksuk is something that represents a human to demonstrate danger, best areas to find food or to remember people. A real Inuksuk is usually made with rocks, formed as a statue in a human shape. Older children may be able to use rocks of all sizes to accomplish a similar statue. However, younger children can also create an Inuksuk by gluing small rocks and pebbles to cardboard or construction paper in the shape of a human. A scrimshaw is an Eskimo and Native American technique in which sketches are washed over with paint to show a story or symbol. Children can create their own scrimshaws using a margarine or yogurt lid. Simply sketch a drawing or symbol onto the inside of the lid. Have an adult use a nail to accentuate the lines of the drawing and scratch any accent lines. Spread acrylic paint over the image and wipe it off with a towel so that only the lines are filled in with paint. Igloos (or iglu) are houses made of ice or snow, which are traditional to Inuit and Yupik people, although they also used whale bones and other items to build homes. 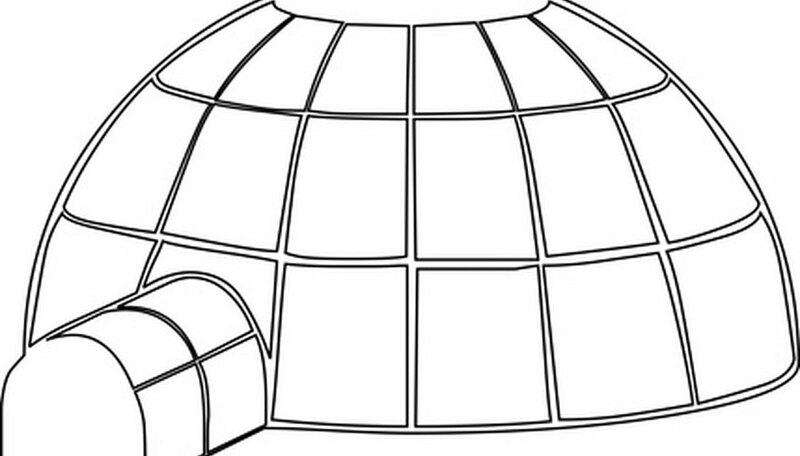 Help children create their own igloos using sugar cubes to represent ice. Use cake frosting to connect the sugar cubes together and stack them in the shape of a dome on top of a cardboard base. Don’t forget to leave an entry way. Frost the entire top of the base with white frosting and the igloo will look as though it’s sitting in snow. Native Americans and Eskimos traditionally used masks made of bone, feathers and wood for ceremonial purposes as part of the dancing or “act” for a celebration. Children can easily create their own Eskimo-inspired mask using feathers, a paper plate and other decorative items. Once an adult cuts eyes and a mouth out of the paper plate, have your child decorate the mask with feathers, marker and anything light that can be glued to the mask.